Welcome to Day 3 of our blog tour. It's a big day! There are five stops on our tour. I know that you will enjoy each and every one. I hope this tour is getting you excited and inspired for spring. Judith @ Botanic Bleu is a fellow host of our weekly link party. 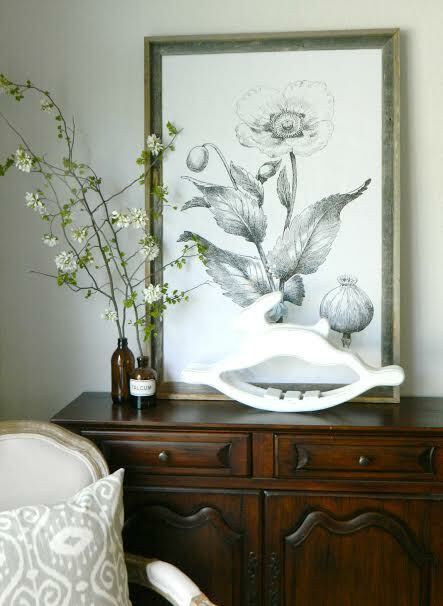 She has a wonderful French blog full of lovely inspiration and gorgeous images. You will not believe her beautiful garden birthday party. Eilis is also a co-host at Monday Social. She writes the sweet blog @ My Heart Lives Here. 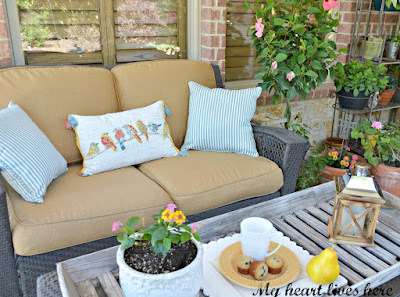 Go by and see how she has refreshed her porch for spring. Pop over and see Jane @ Cottage At the Crossroads. She has a blog chocked full of crafts, tips and tours. 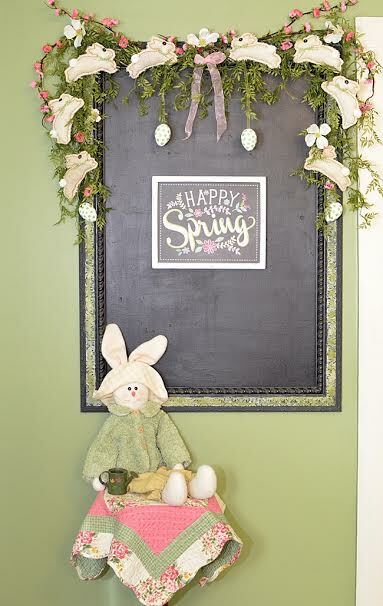 That bunny garland is just too cute. I may just have to make some of those. Next up is Lisa @ Fern Creek Cottage. Her house is so cute all the time but she does some wonderful seasonal and holiday decor. She has transformed some thrifty finds that you will not want to miss. Laura @ Decor to Adore is our last stop on our tour today. I have been to her home and it is gorgeous. 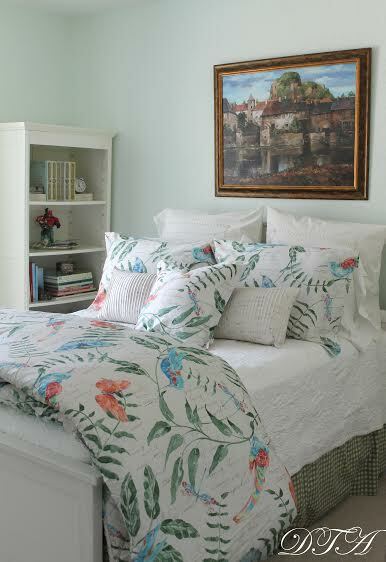 You will love her wonderful images of these two gorgeous bedrooms. Congratulations to her son for coming up with a project for his Eagle Scout award. Click on any of the links that you may have missed. Be sure to visit tomorrow for a few more stops on our tour and a wrap up. Katie you have gathered such a lovely and graceful group to showcase. Thank you so very much for the honor of being included. Happy Wednesday! All of the Spring tours have been so much fun, with no two alike. 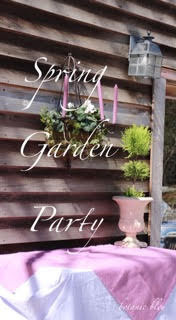 Thanks for organizing such a fun Spring blog tour. Looking forward to more inspiration tomorrow. Thanks so much for this inspiring tour. I've enjoyed every stop and I'm looking forward to tomorrow's stops. What a fun tour, Katie! I'm so sorry to have missed it. I somehow was thinking that it was last week. Oh dear, my mind is going!! I hope I can join in on a future tour.